The Senior Manager, Digital Content is responsible for delivering a best-in-class consumer experience, across marketing touchpoints, through digital content. This role will lead a team of content specialists to drive the evolution of digital content with the goal of helping consumer better experience our physical products in a digital world. • Develop content strategy, working across marketing, based on deep understanding of the consumer journey. • Continuously and effectively collaborate across marketing and entire organization, proactively looking to develop the best solution with expertise available. • Lead team which develops a variety of content, such as visual assets, UX designs and SEO content. • Work with Data team to develop insights and actions based on consumer content usage. • Manage site CMS, developing and overseeing content calendar. • Shepherd content projects through the Agile process (prioritization, sprint planning, deployment). • Oversee and ensure accuracy of product information on owned and retailer websites. 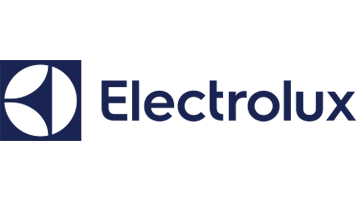 • Partner with internal team and creative agency to ideate and produce incremental updates to owned properties that bring business value and not only align to best practice, but elevates the experience particular for Electrolux products. • Bachelor’s degree in Marketing, Information Technology or equivalent. • 7+ years in a related field, minimum 3-5 years managing team of multiple people. • CMS administration, Project Management tools, Photoshop, HTML experience a plus. • Strong communication skills, both written and verbal, specifically the ability to write and speak clearly, concisely and accurately. • Proven ability to identify learning opportunities and integrating learnings into work. • Advanced knowledge of external competition, industry and/or market trends. • Knowledge of digital user experience (UX) concepts, website/content testing methodologies and visual asset (e.g. images, video) strategies. • Natural affinity for providing operational team direction and can collaborate effectively with others to establish and execute on common goals. • Analytical approach, strong problem solving and root cause identification skills. • Ability to think critically and develop high-quality project deliverables and ensure content formats, delivery method and overall solution meets requirements.